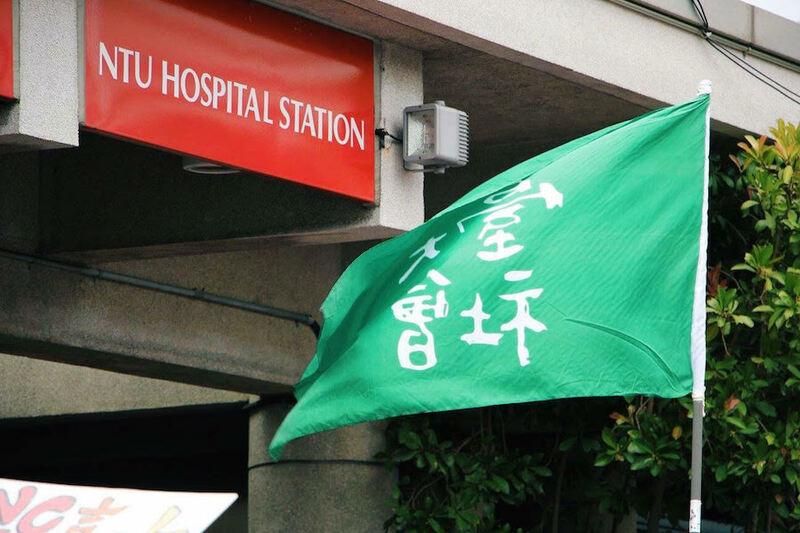 Exit 1 of NTU Hospital Station leads to 228 Peace Park. 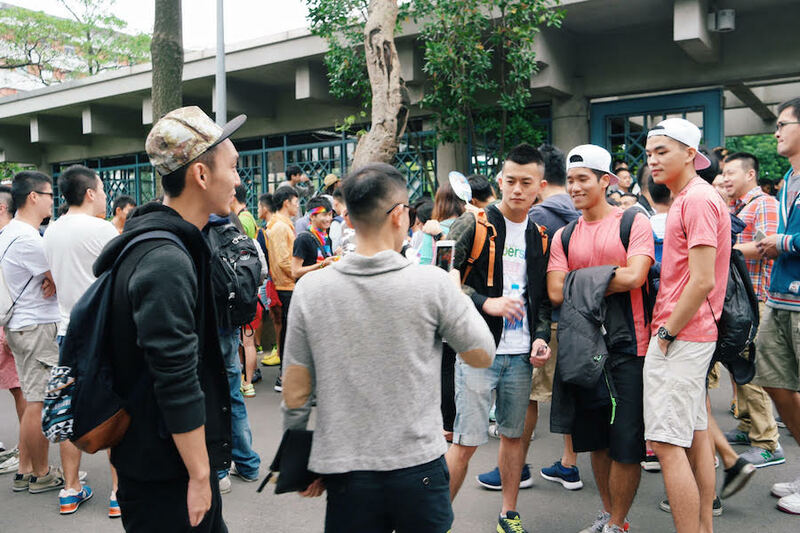 Normally, it’s a peaceful green lung within Taipei’s urban expanse, suitable for a quiet afternoon stroll. 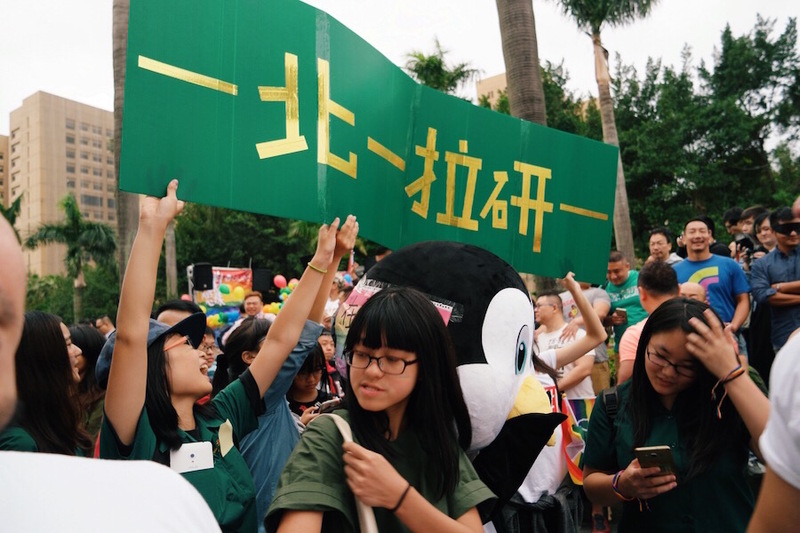 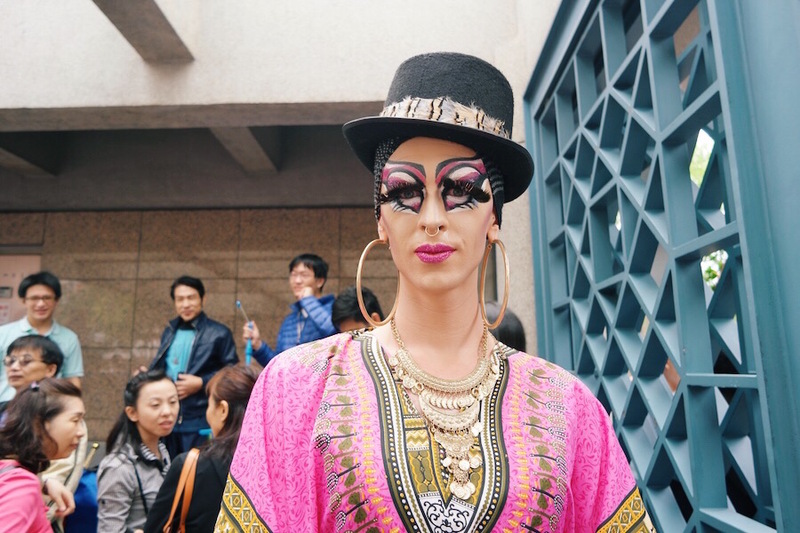 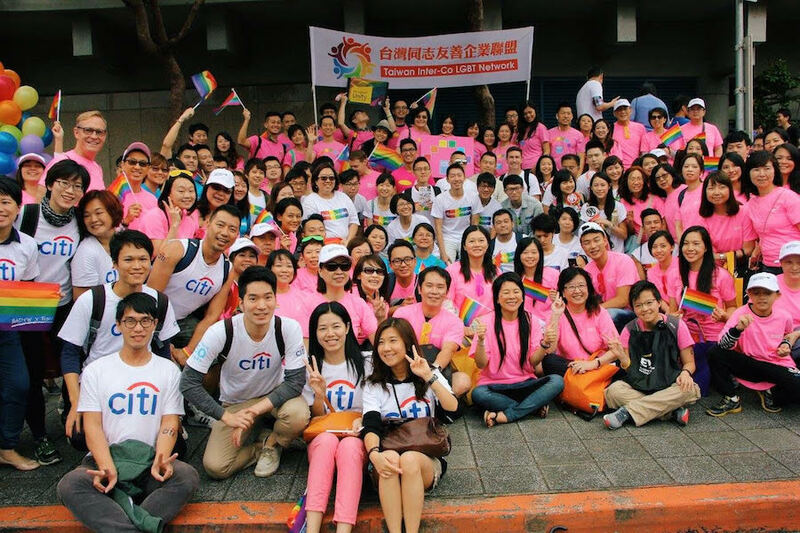 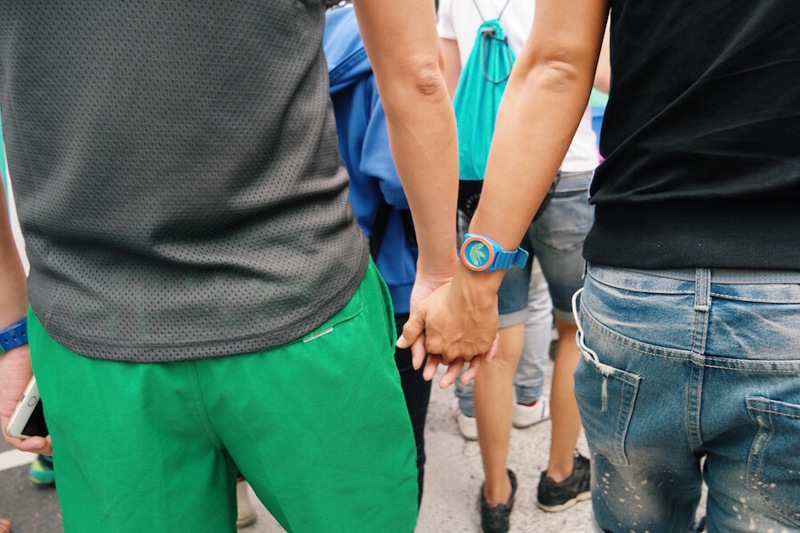 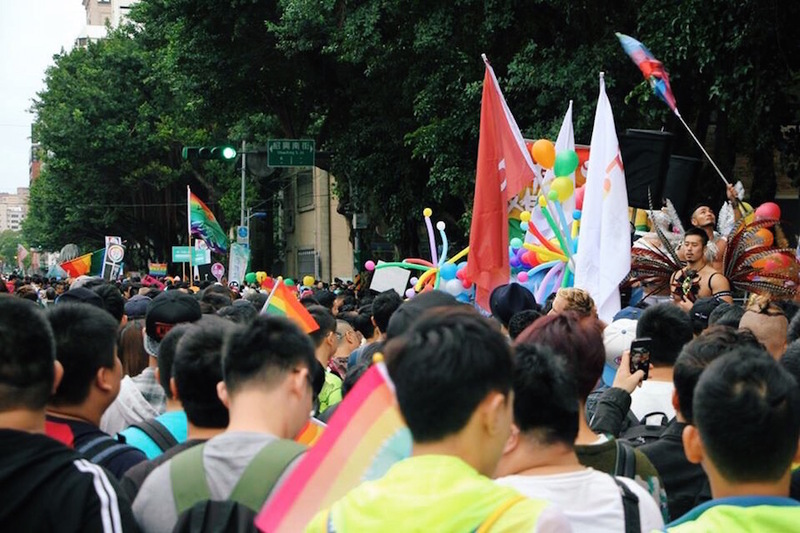 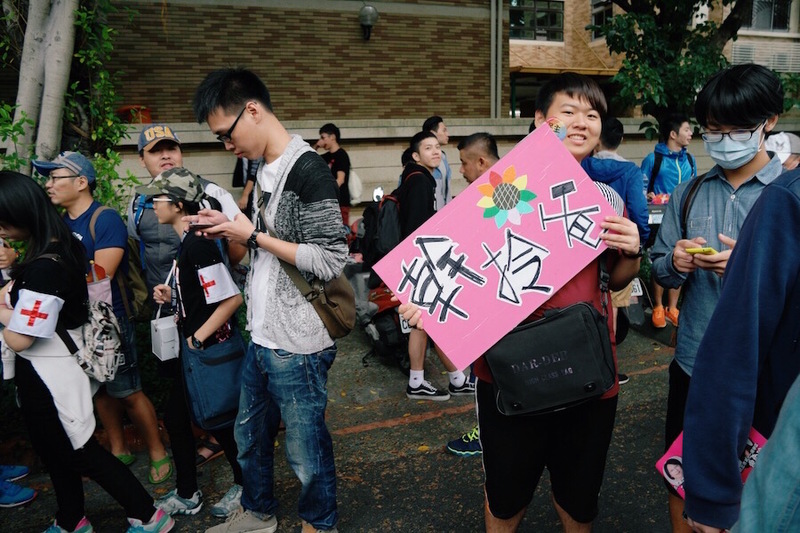 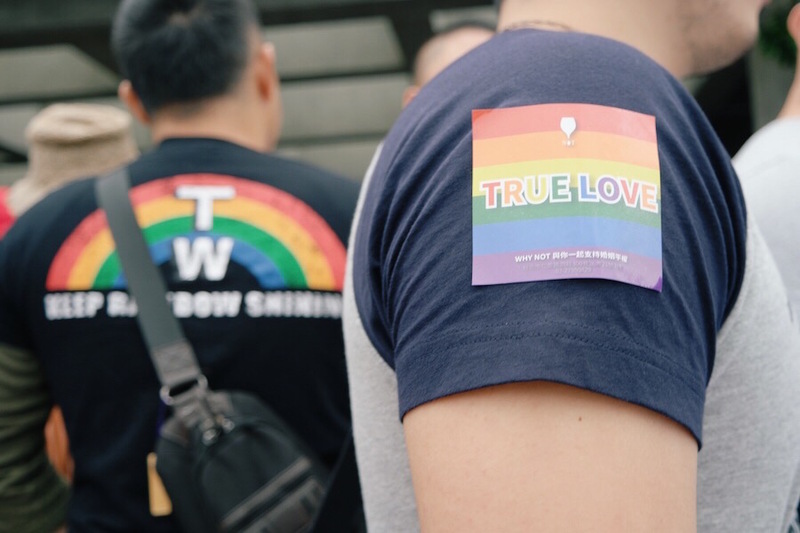 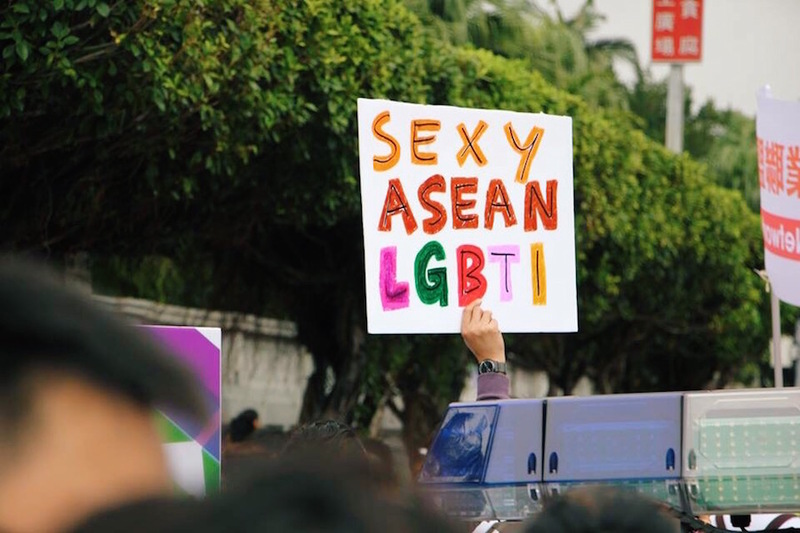 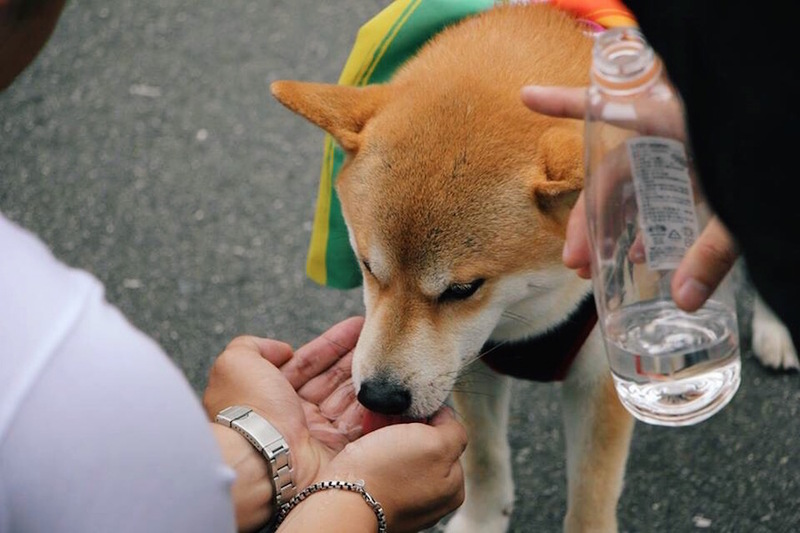 But just before noon on October 31, the area teemed with people, locals and visitors alike, awaiting the start of the 13th Annual Taiwan LGBT Pride Parade. 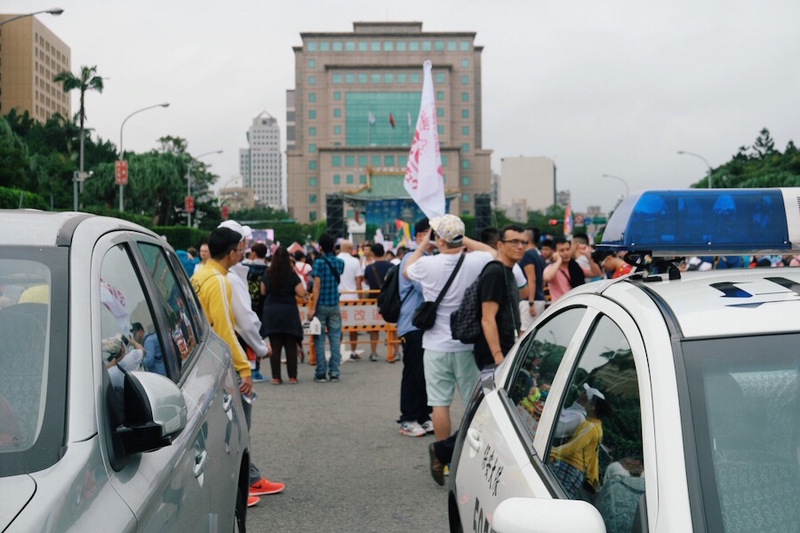 From the park, the crowds made their way toward Jing-Fu Gate on the eastern end of Ketagalan Boulevard. 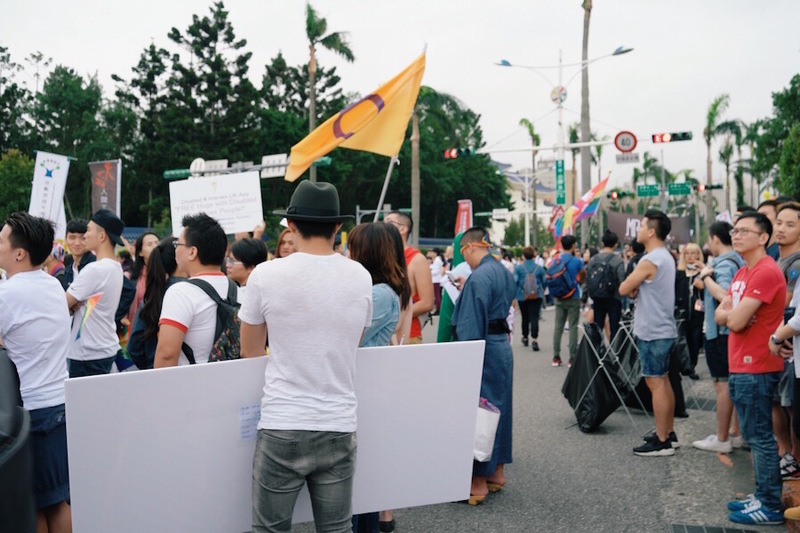 Participants waited anxiously for their cue to start walking. 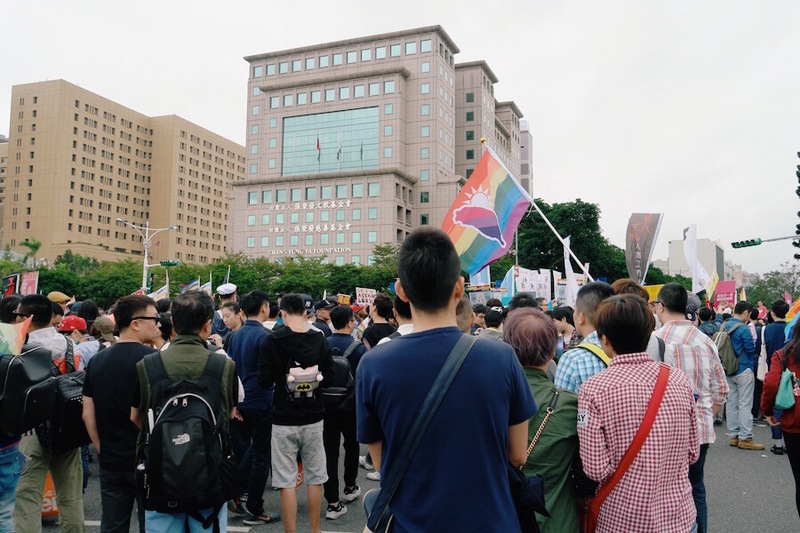 At noon, the parade officially commenced, and the procession, split in two groups, began promenading down the major boulevards of Taipei. 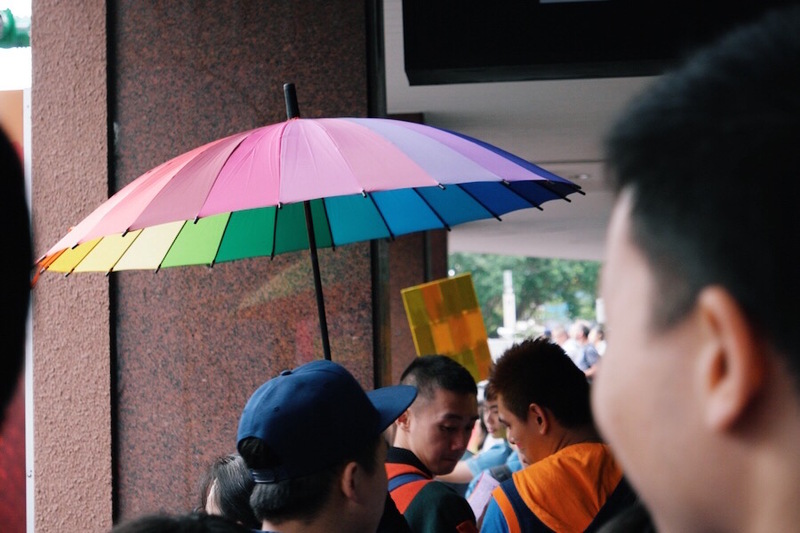 Rainbow, of course, was the accessory of the day, gracing everything from flags and capes to stickers and parasols. 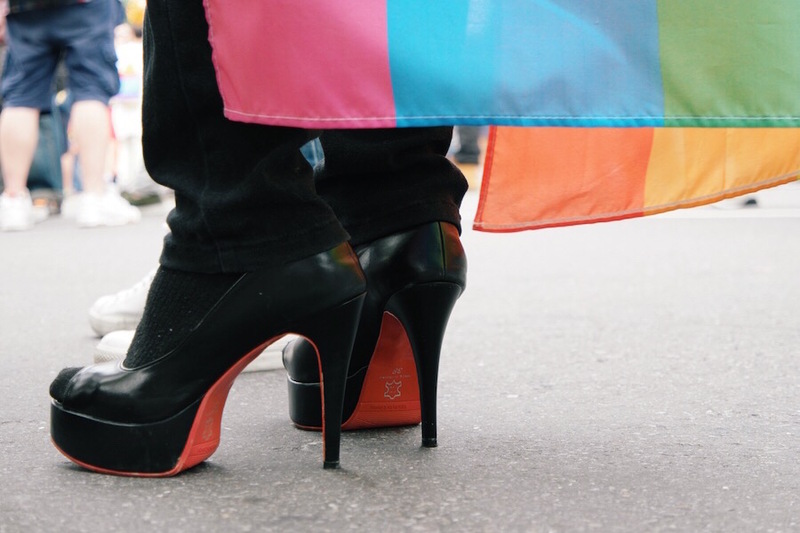 Some chose to make rainbows (and little else) part of their outfit. 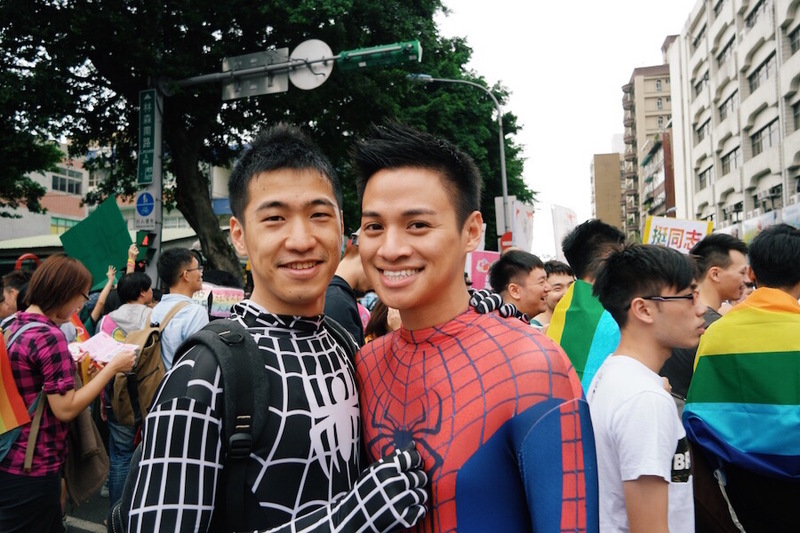 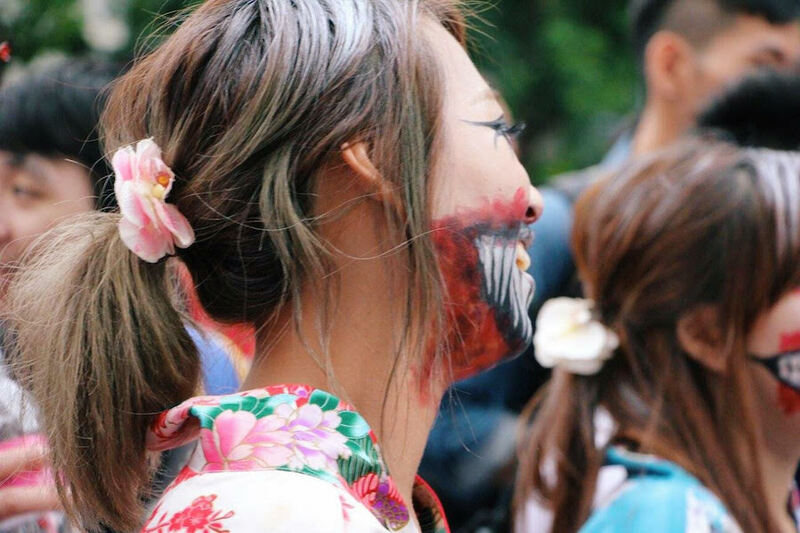 This year’s Pride Parade happened to fall on the same day as Halloween. 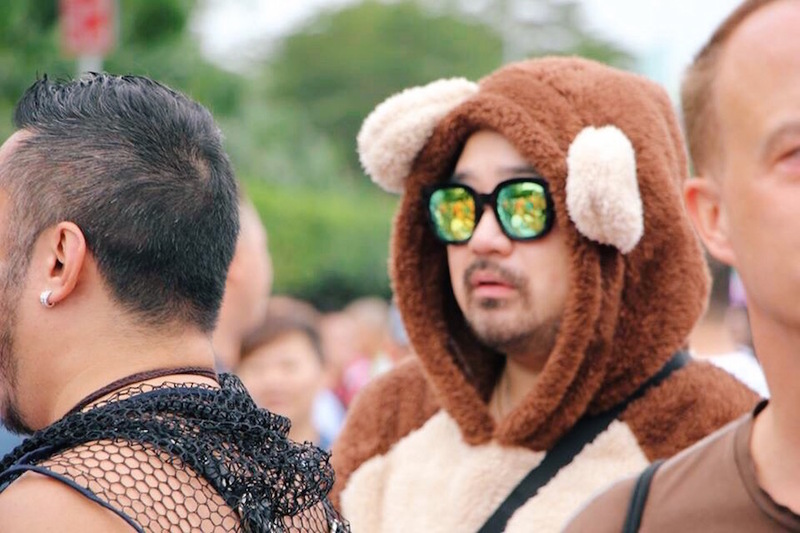 Unsurprisingly, some participants looked ready to transition from one event to the other without need for a wardrobe change. 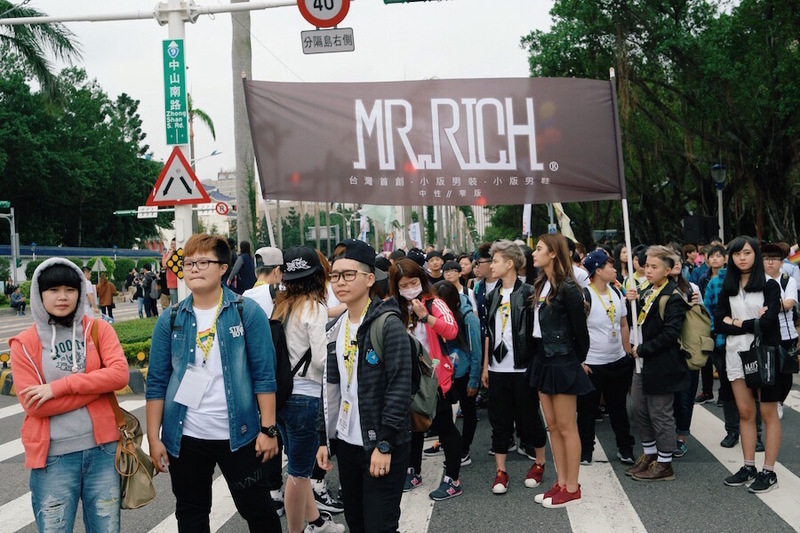 Student groups and activist groups in coordinated outfits gathered in solidarity as they made their way down the streets. 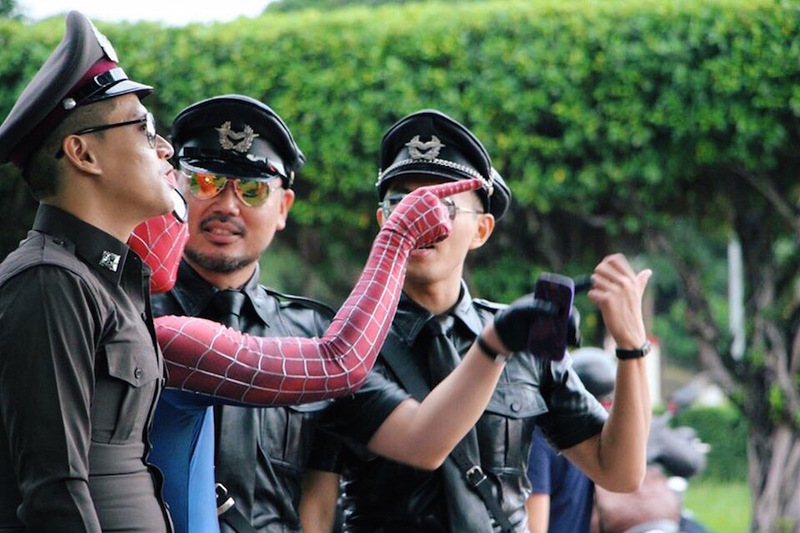 … to the cheekily irreverent. 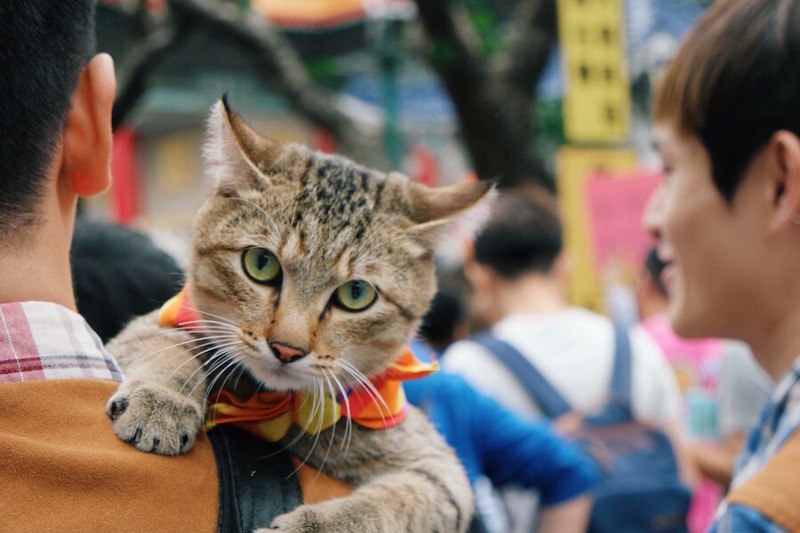 … and fabulously adorable human-animals. 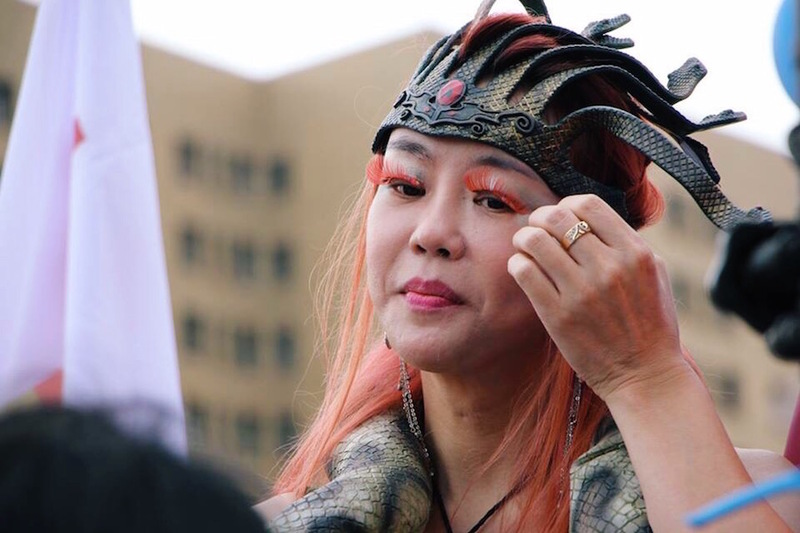 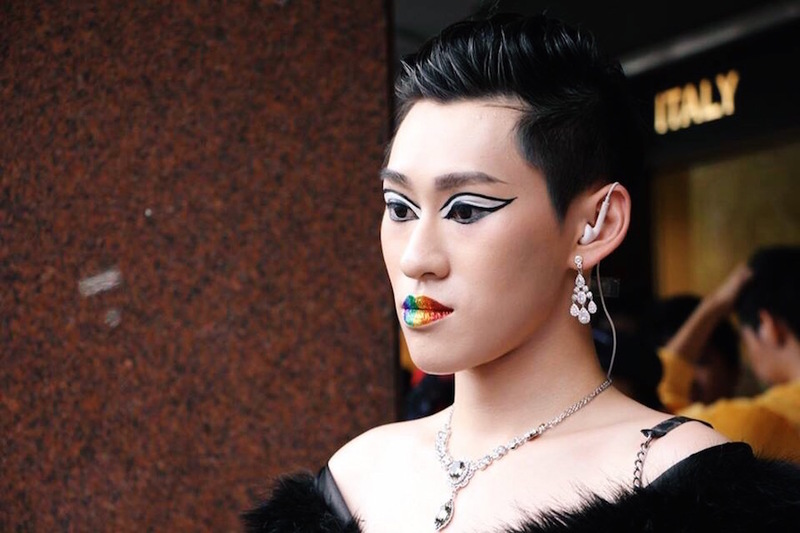 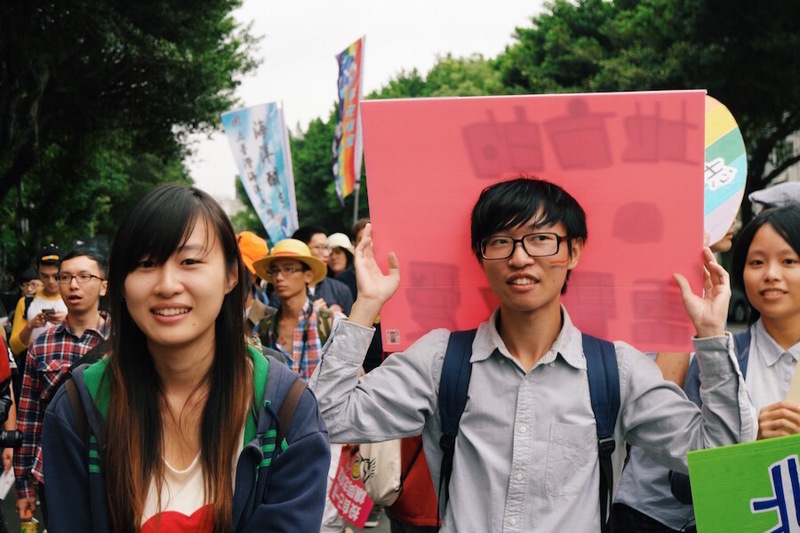 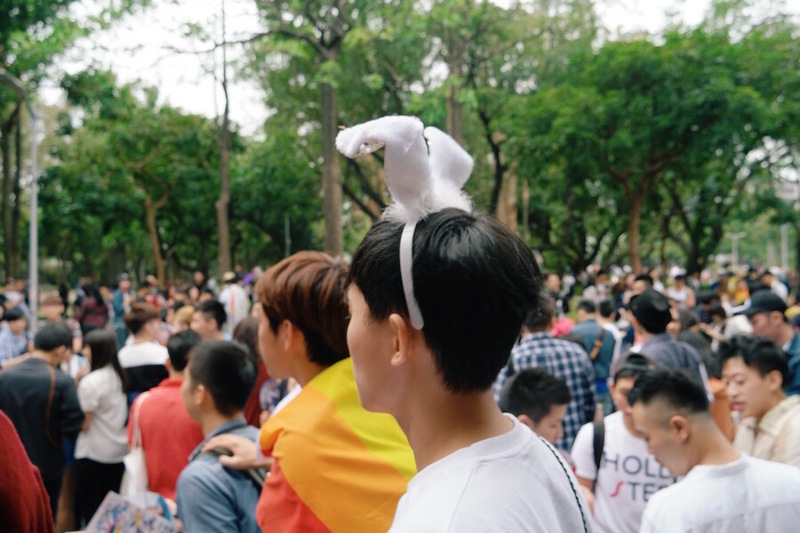 For the most part, though, Taiwan Pride consisted of regular people in regular attire, numbering nearly 80,000 in total, out in the streets in support of equality and acceptance for all. 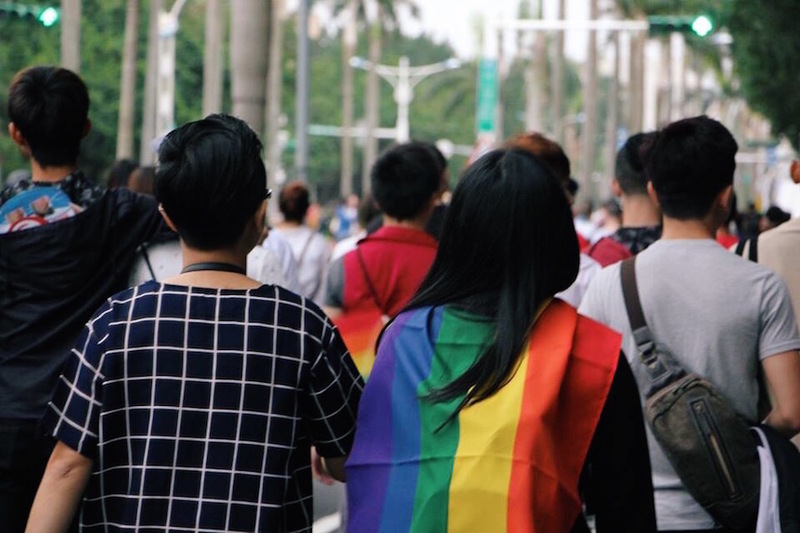 Without any marked separation of bystander and participant, at times it was unclear who was actively walking in the parade and who was simply passing by. 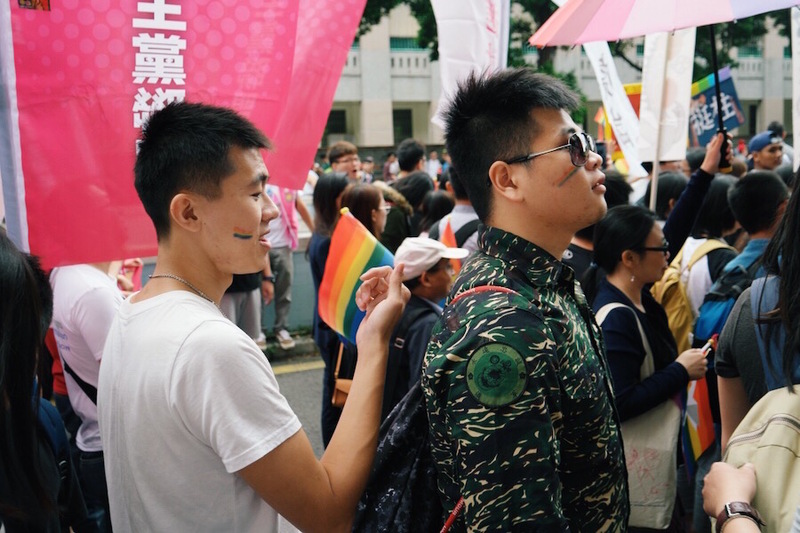 But perhaps that was (and has always been) the intention of the parade. 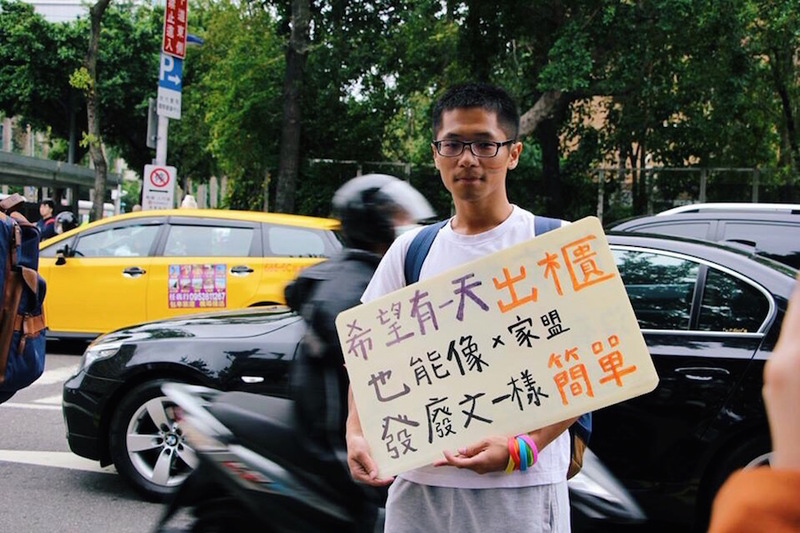 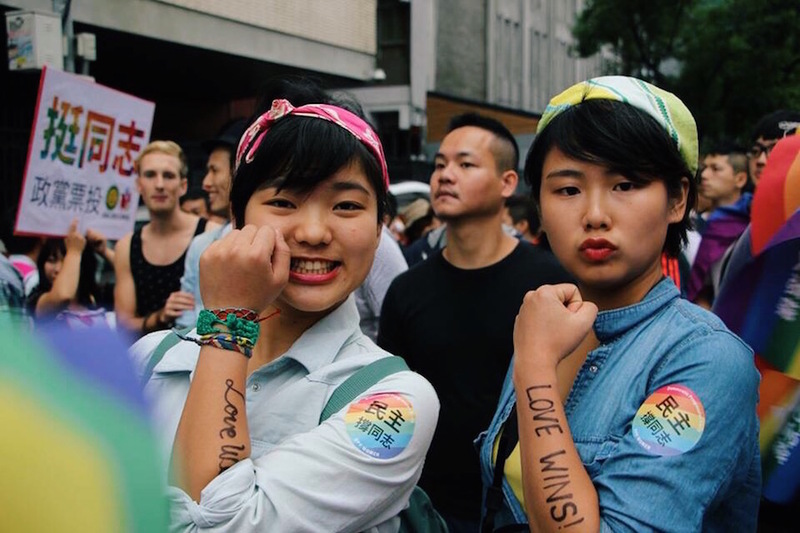 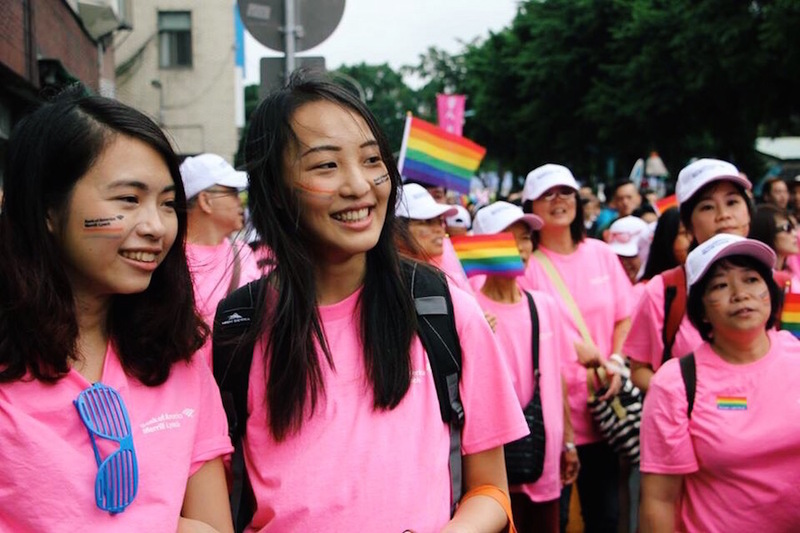 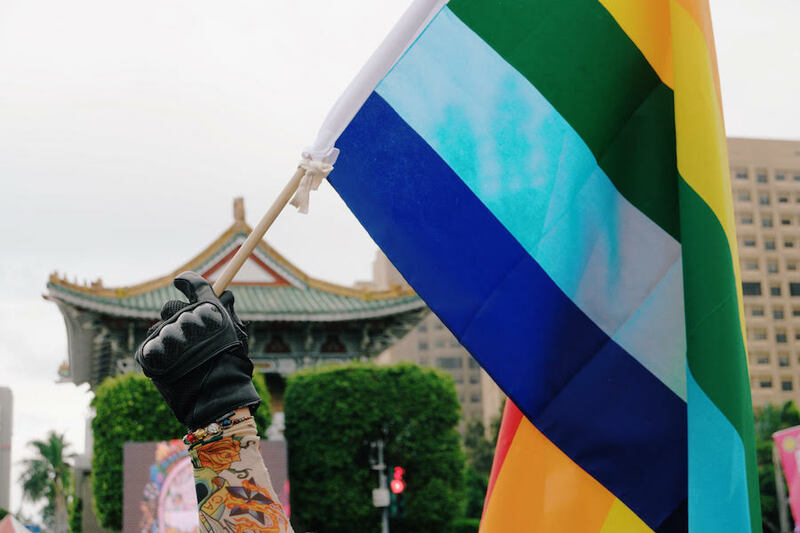 After all, Taiwan Pride is open to all: queer people and their allies; friends, family and loved ones. 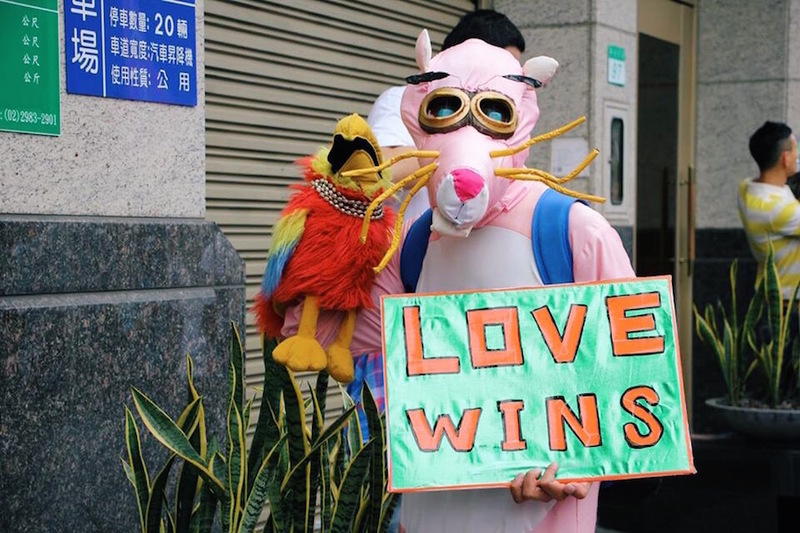 A day of love in Taipei. 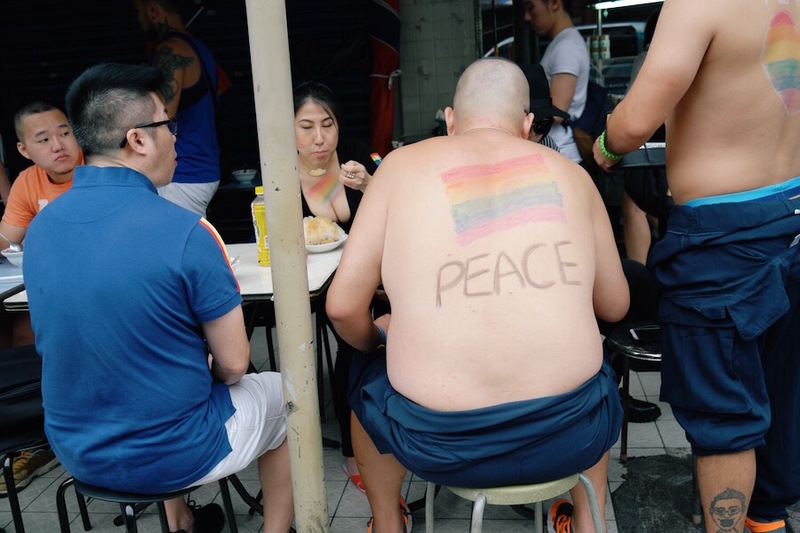 Photography by Kevin Chen and Scott Lin.